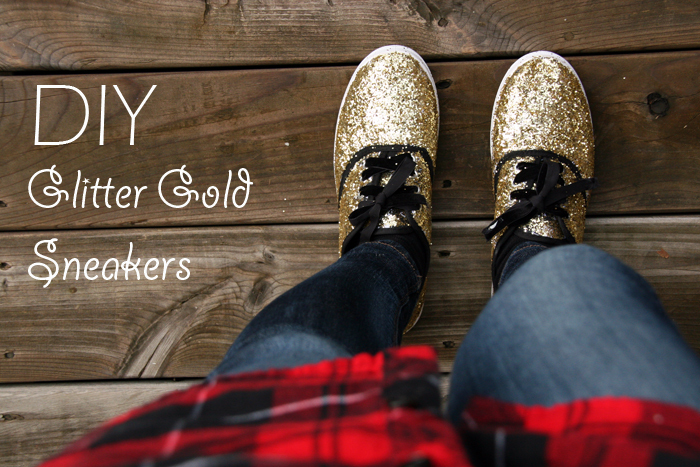 I was inspired by the Keds for Kate Spade gold glitter sneaker and decided to create a pair of my own that cost me less than $10. Try pairing them with a pair of jeans or if you want to really stand out, what about a puffy party skirt? I hope you’ll give these a try and have some fun with it! Head on over to Girls of T.O. to see the easy peasy step by step instructions! 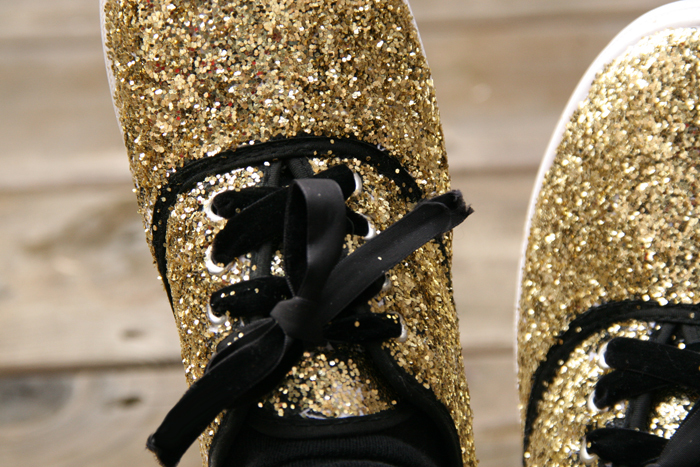 Thoughts on these glittery beauties? What items have you collected for your holiday wardrobe? If you haven’t checked out my first holiDIY with Girls of T.O. be sure to have a look here! Hey ! I really want to these, they look gorgeous !! Just wanted to know, what kind of glitter did you use ? like, how big are the particles ? Hi there! I’m glad you liked them! I used a larger sized face gold glitter. It comes loose, the best result I realized after I posted this tutorial is actually to mix the Mod Podge with the Glitter. I recently posted a glitter Lit Up Marquee Sign Tutorial – you can use the exact same method as that for optimal results.